Today, more than ever before the home serves as an extension of the office. Technology often makes it possible to work from home with little to no difference from the formal office. With this go all the issues regarding security and potential confidentiality breeches. 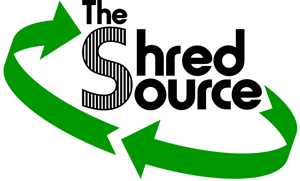 The Shred Source recognizes and understands this need and has many options and programs available to serve this growing need. Home office shredders are expensive, unreliable, and just plain messy. While they have their place and role they are not a cost effective solution or option to a formal program. Professionals, small business owners, entrepreneurs in addition to home office workers of large corporations need the assurance the confidential material and necessary paperwork is handled in a cost effective and compliant manner. 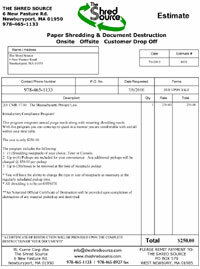 The shred Source is able to do this in such a manner that all necessary legal issues are observed and the material is handled in a non-disruptive manner.